The power of accessories never fail to impress me. Whenever I want to create a different look out of an outfit, I use accessories to achieve it. Whether I want to dress something up or down, they are the perfect solution. 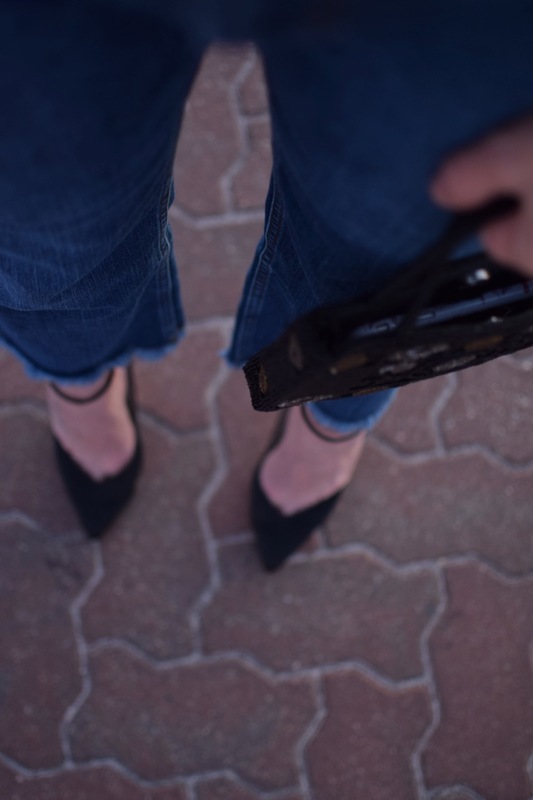 Imagine wearing an ordinary pair of jeans on a casual Friday and having to head for drinks after work with a client, a friend or husband. 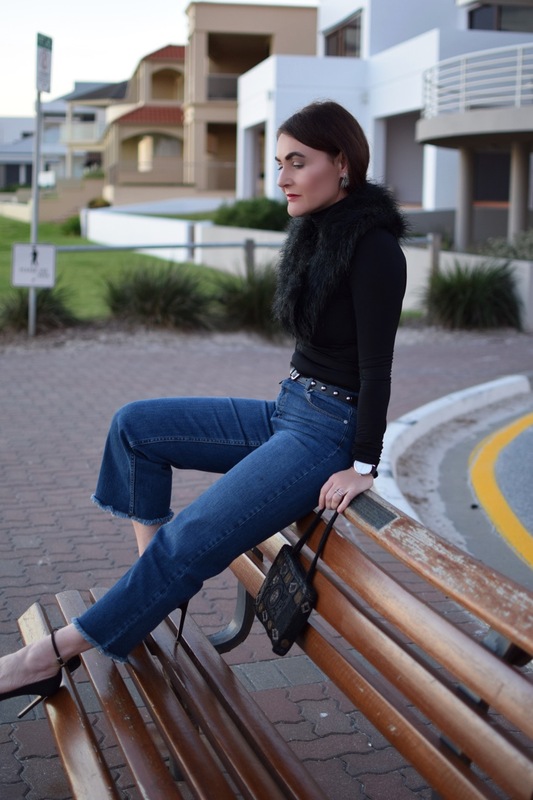 From a complete ordinary pair of jeans and black turtleneck, this look was totally transformed into something more sophisticated just by adding a few accessories, like this season's must-have fur etolle, a rockstud belt, ski high pumps and a cute embellished purse. Never underestimate the power of accessories! Ever! I guess it goes without saying that make up plays a huge role here, too, an immaculate skin paired with red lips to reinforce a sense of elegance is enough. Simplicity creates an impact once it's done with attention to detail. Otherwise it is just another outfit.